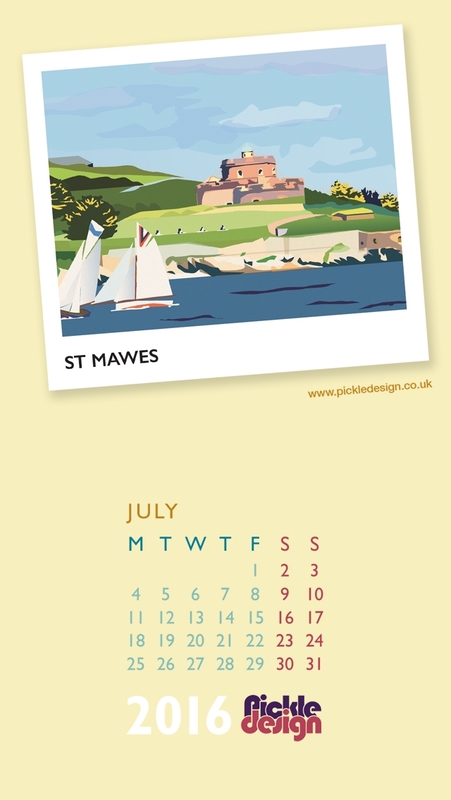 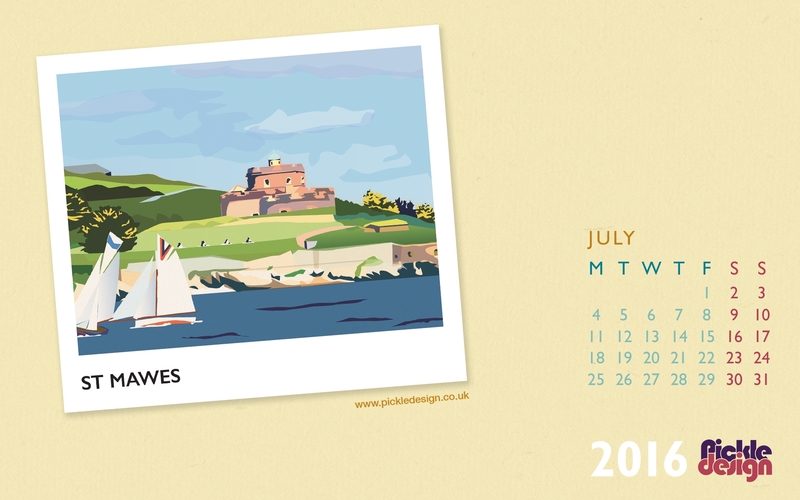 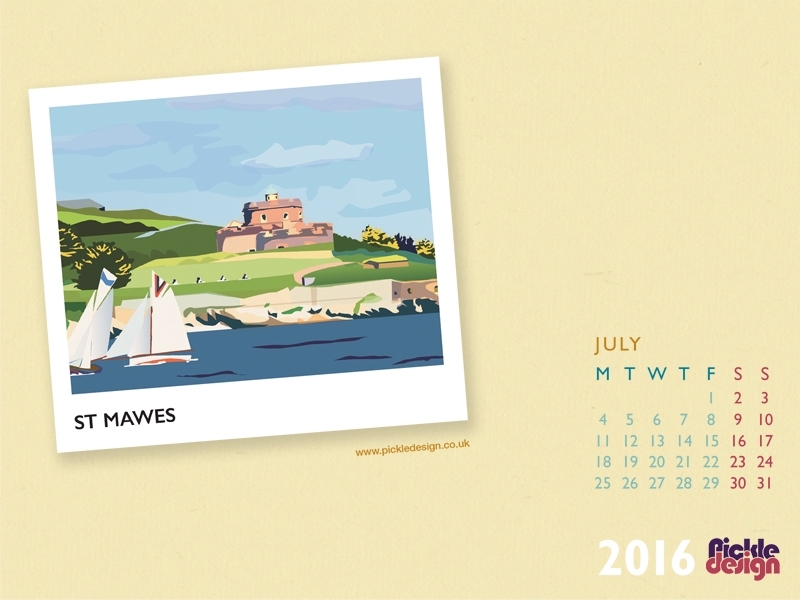 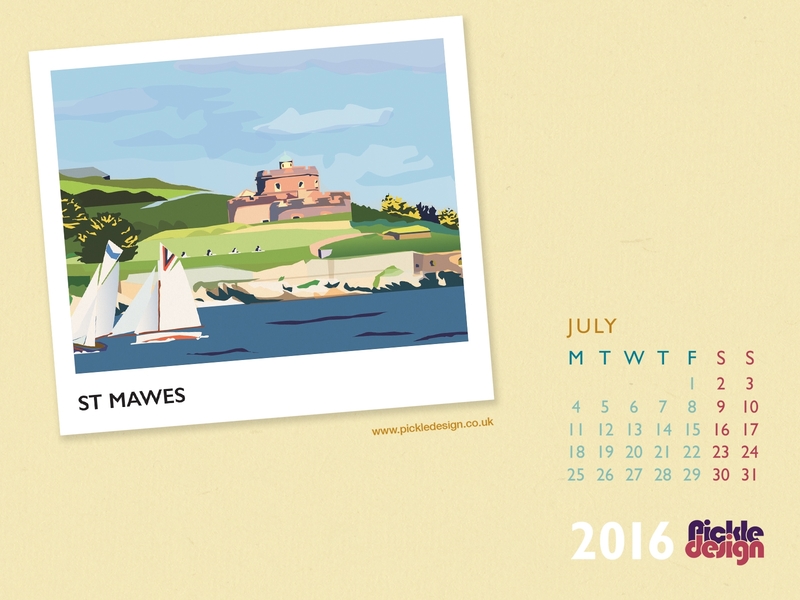 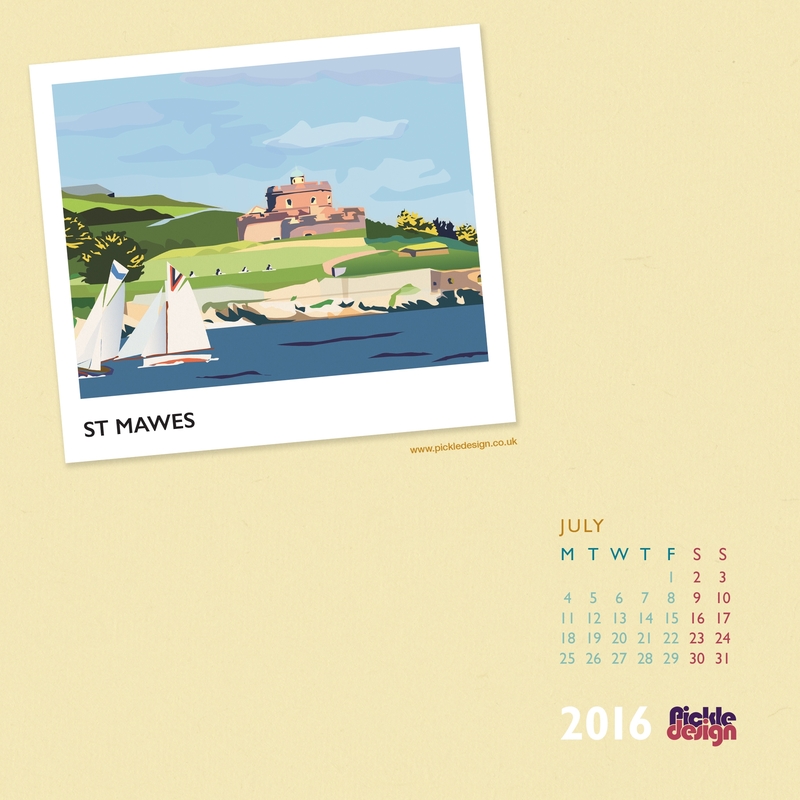 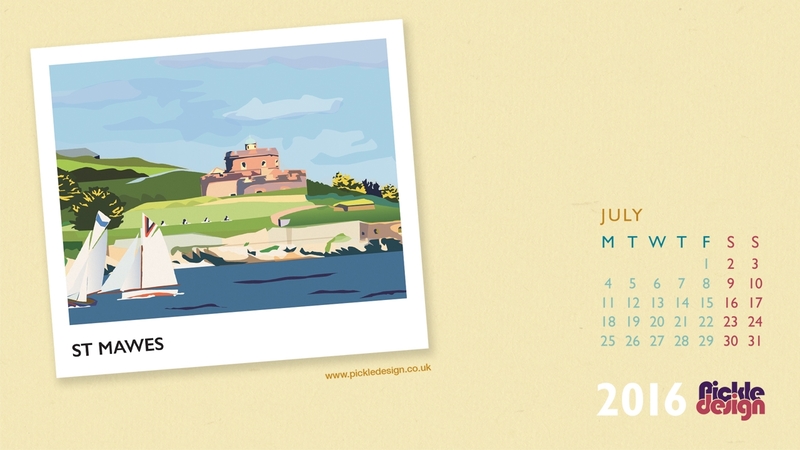 July’s calendar is our vintage-style illustration of St Mawes, across the water from Falmouth. 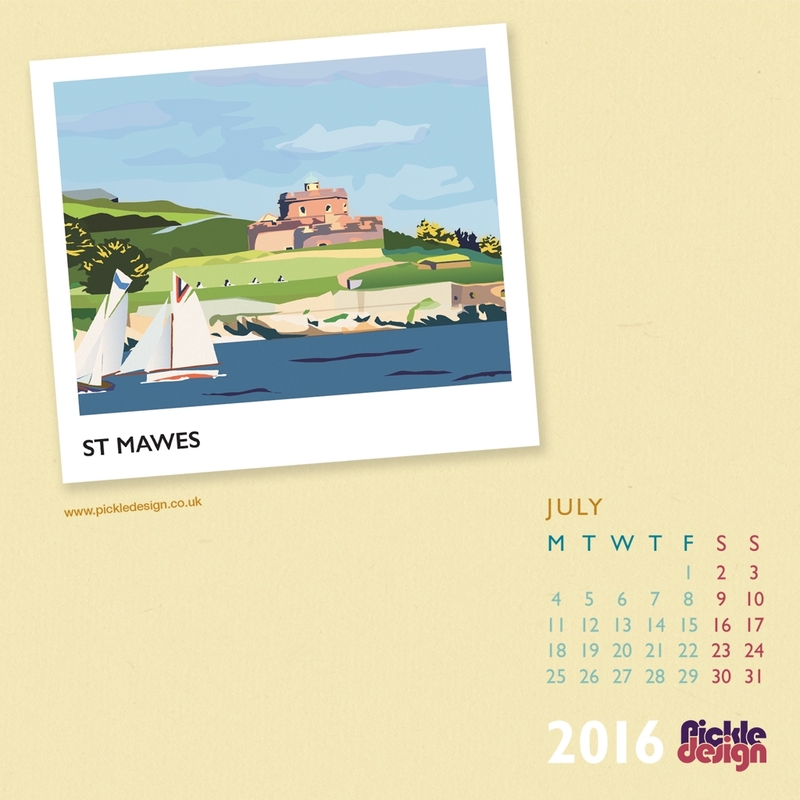 St Mawes in south Cornwall boasts a beautiful castle, eateries with stunning views, a little beach and beautiful coastal walks. 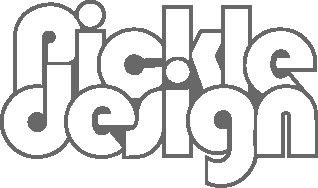 We love it there!